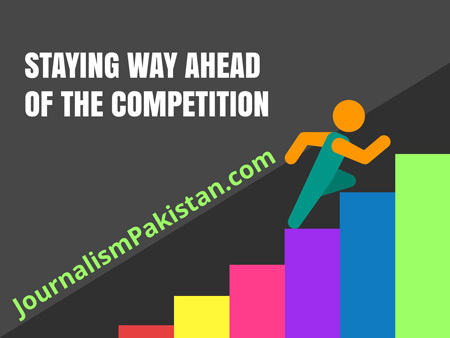 ISLAMABAD: The Jang Group, under pressure from all sides, hit back at its industry rivals Saturday as the dirty media war got dirtier. English daily The News, in a front page story captioned 'Is it a plot against Jang Group?' attacked ARY and Express Groups, its most vocal critics in the aftermath of the attack on Geo TV presenter Hamid Mir and subsequent events. 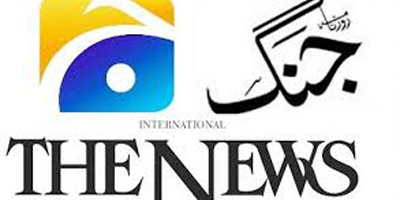 Rivals accuse the Jang Group that runs Geo and several other channels and publications including The News of being Indian and Jew agents who run their media empire on foreign funding. The paper, quoting the group's spokesman said: "Let's come and see who is Indian or Jews agent, whether Jang Group or ARY and Express Group. "Those managing ARY were doing business in Dubai and after committing default there went to London but there too they showed their companies as bankrupt. They do business in gold and all know about their fame. 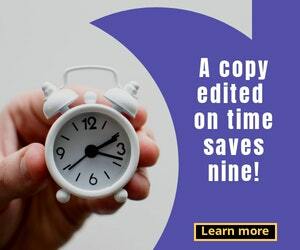 Their name has been published in an advertisement on the world level in connection with the money laundering. Their name is also included in Pakistan’s default list and it has been published in the paper." The Jang Group spokesman then attempted to expose the Express Group saying they jointly do business with American and British firms. "They are agent of Indian tea and handlooms. This Group daily publishes American newspaper New York Times of a Jews Group. This is Express Group that misappropriated billions of rupees and then run away from Pakistan. 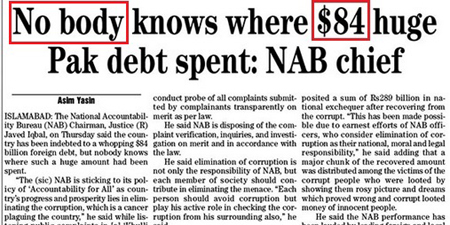 "Sultan Lakhani confessed to the theft and promised a plea bargain after NAB chased him. But after the passage of 10-12 years, he did not return the money. With this ill-gotten money, he extended his business but these issues are nowhere on media or social media," the paper quoted the spokesman as saying. Earlier this week Geo's entertainment channel aired controversial content in a morning show that hurt religious sentiments of Muslims and sparked protests with calls for shutting down the channel. The spokesman said that prominent clerics had said the issue should be disposed of after apology "but so much hate is being spread that lives of workers of our organizations have been put in danger. The program host Dr Shaista Wahidi and the group have apologized for the blunder. "Islam holds as lie an allegation without any proof, for which a stern punishment is set out... certain channels are leveling allegations due to animosity and bias so that Geo TV is shut down, and its ads are stopped. Such conspiracies against Jang Group have failed in the past and will fail this time too. "